Over the last few years, much attention has been paid to finding a solution to an impending housing crisis in San Diego. From promises of new construction to the prospect of rent control there is a list of potential long-term solutions for lack of housing. Coincidentally, San Diego City Council members are set to consider another facet of combating a housing shortage in the form of preserving existing subsidized rent restrictions. This potential solution is especially sensitive, given that many restrictions are set to expire. What Are Subsidized Rent Restrictions? Born in most cases out of agreements made with property developers, David Garrick of the San Diego Union Tribune notes in a recent report that units equipped with rent restrictions charge reduced rents “in exchange for tax credits, redevelopment money or other financial incentives.” In many cases these restrictions are maintained in effect for extended periods ranging from 30 to 55 years. According to Garrick’s report “Preserving old, low-rent apartments could play a key role in solving San Diego’s housing crisis”. But it’s a race against time, as much as 7% of existing low-rent units in San Diego County that maintain these agreements are set to expire over the next 5 years. The result of these expirations could be immediate, with owners raising rents sharply or choosing to eliminate these units entirely in favor of new, high-end construction. What Are San Diego Leaders Doing To Help? How Wide Spread Is The Potential Impact? 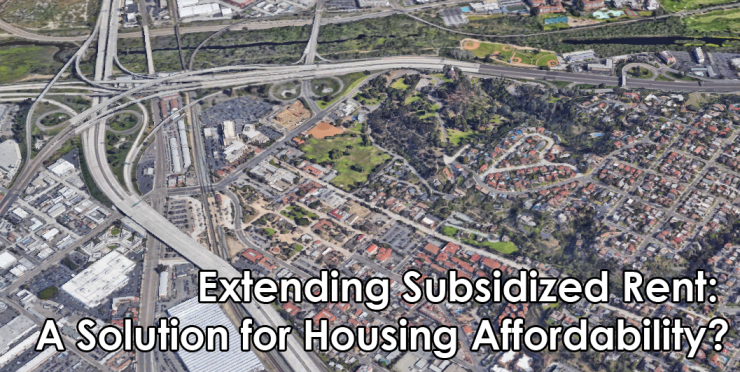 According to the California Housing Partnership, nearly 2386 units of the 31,961 units available in San Diego County are set to expire by 2023, with an additional 1,957 units expiring by 2028. However, Garrick notes that these numbers only included projects with federal subsidies and that the list did not consider units in San Diego’s inclusionary housing policy or the city’s density bonus program.